I originally wrote this as a guideline document just for Orbit clients, but I figured “Hey, who doesn’t love a good checklist? I should share this with the world!” So here we are. Assuming you’ve already done your keyword research, this is one of the most important on-page SEO factors. If you haven’t, here is a step-by-step guide on how to research keywords. The title tag tells search engines what the page is about and that the page on your website is relevant for that keyword or keyword phrase. Title tags should be unique for every page. In search results, search engines will highlight your keyword phrases if a user has searched for those terms. This increases visibility and click-through rate. Keep title tags at 55 characters or less in length, including spaces. If you’re interested in learning more about the new title tag guidelines, check out this post by Dr. Pete. Meta descriptions, while not as important in search engine rankings, are extremely important in getting users to click through from the search engine results page (SERP) to your website. Meta descriptions should use keywords wisely, but more importantly they should include a compelling description on which a user would want to click on. Much like title tags, the SERPs will highlight keywords that the user searched for, increasing the likelihood of the user clicking through to your website. Your content is the meat and potatoes of your website. With all of the Google Panda updates, it is extremely important that your content is unique and relevant. If you have multiple pages with the same content (or if you have your content on other people’s websites), you will run the risk of getting penalized by Google and your search rankings will suffer. We want to keep Google happy, so keep your content unique. Create unique content for every medium (press releases, blogs, guest blog posts, etc…). If you send out a press release, do not copy and paste that press release onto your website. If it gets picked up in multiple publications, the search engines will see that you have duplicate content and penalize you for it. 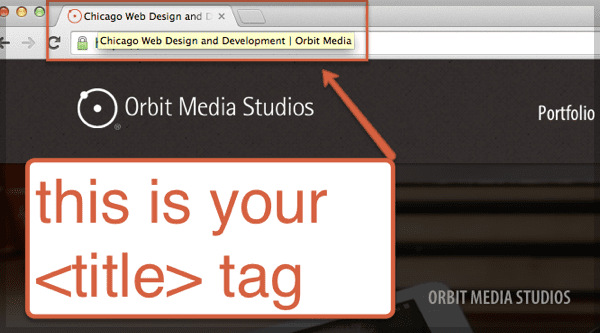 A header tag, also known as an H1 tag, is much like the subject line of your web page. You should only use your keyword phrase once in the H1 tag. This should be included on a page to which you are trying to drive unique traffic to. You can also use H2 tags (second header) if there are multiple sections. Internal linking refers to a link on a page that points to another page on the same website. Internal linking is important because it helps strengthen those keywords internally for those pages, it allows users (and search engine robots) to navigate through the website, and it tells the search engines that the page is relevant for that keyword phrase. The ecommerce text links to our ecommerce page, mobile links to our mobile page, etc. You get the picture! An alt tag is essentially the name of an image. All images should use appropriate alt tags. Not only are alt tags good for search engines; they are also good for accessibility. If someone is using a screen reader, they will be able to hear what that image is. You should try to include your keyword phrase in the name of your image, if possible, but don’t overdo it. Image filenames should also be SEO friendly. Image search is much more widely used than believed, so traffic from there is also valuable. This is not a huge factor in search engine rankings, but will help your users easily scan your content and find the keywords they are looking for. You should use bolding and bullet points to set apart words in the text, and this further tells the engines what is important on the page. Don’t go wild or you’ll end up cluttering up your page and aggravating the user. Meta keywords used to be popular back in the day. However, nowadays Google (or any other search engine for that matter) does not hold any weight to meta keywords, so go ahead and skip this. If I missed anything, or if you have something to add, I’d love to hear your comments below! 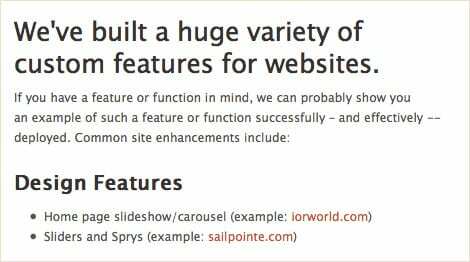 This is really a cool post for the on-page optimizers. I have seen a plenty of sites not following these simple on-page techniques. Hope this post will be very much helpful for them too. great article! good work Amanda! Amanda this excellent. Great job! I’m a big fan of the internal linking. It’s so easy, but it still seems like many people/companies do not do it. Thanks for writing this post Amanda! I just pointed it out to another one our clients and they are raving about it! Learn lots about SEO Titles, I am searching this type of articles. Thanks for sharing. You have writing almost every point for On page SEO but i just want to add here some best SEO plugins which are really beneficial for On page SEO like Easy WP SEO, yoast, SEOPressor etc. @Amaryder thanks for sharing these added tips! @Samsul great! Let me know if you have any questions or need help with anything. Great article to read, one extra point that I would like to share that is emphasized words: <strong> and <em> tags should use instead of <b> of <i> because now a days many browser favor these tags. thanks for your informative post. As i should mention…i previously used + ! sign for my website title and i still prefer – and | this is much better. Awesome Amanda! I’m confused because you state title tags are to be 66 characters yet yours is 87, and being cut off in search results. Was that your intention? Help me understand why, writing as an authoritative SEO professional, blatantly promoting your own brand in this article, stating what we should do, would begin with contradictory statements and get it wrong. If you have the courage to allow my comments to post, engage this conversation and correct your misinformation you will be more in alignment and become a more trustable resource for your peers and clients. @MrFredMertz the reason ours is 87 is because we put our brand name, “Orbit Media”, at the end of our title tag. Our main keyword phrase is within the 66 character limit. We will always rank for our own brand name so it’s not relevant to have that show up in the title tags on search engine results pages. Hope that clears that up! Is there any difference between if we use – instead of | to seperate phrase and brand name. Because i use phrase – Brand.. Thanks for explanation, because i’m struggling about the diffrence. Great post. I’d add boldfaced keywords. No Doubt it is great article. I have 4 keywords for promoting my website. So how to use this 4 keywords in my website like title description and content. Please let me know. Thanks for sharing this information….. I have not been able to find such kind of information throughout the search engines and internet. It’s been fabulously informative to read your blog and i am going to suggest it to another fellow as well. Do you do SEO consulting? Thank you for making this very easy to read and simple! Great post! Among the many SEO posts I have read this was easier to understand. Well, Greatly described Points. I agree with most of your points. Recently Google become more intelligent with quality update and now, they they know, what content is all about, so they know, exactly, where to rank our article, depending on it’s quality. So, Keyword Density is out of the window these days, Instead, we can just use LSI keywords for better ranking. Also Meta tags like Meta description is not that important, like it was few years ago, now, Google can pick any word or phrase from article depending on users query. But I do agree that, using Headings Tags, Image Alt Tags and internal Linking is very important. So, Overall, having a nice URL structure, Authority Outbound Links, proper Title, can do the Job easily. Short and clear. Exactly what I was looking for. Thank you. Awesome blog. I love to read all your work. This I would have to say is your best work hands down. I look forward to your work. Nice Clean clear work Amanda. Thank ‘s for your efforts. This is a great starting point but only if it were this easy. Continued content updating and other things are necessary to keep web-sites on the top. We all know that having a page rich with content is important for ranking well in search engines. My question is, does content have a better impact if it’s written at the top of a page, rather than closer to the bottom? So for an e-commerce store, for example, it would be best for the products to be listed at the top of the page. Would the content not be as powerful in the eyes of search engines if users have to scroll down a about 3 ‘screens’ to get there? When naming file names, you mention using dashes (-), instead of underscores (_). What is the logic behind this practice? Thanks in advance. Is this article up to date or really old? I thought it was good info, but then saw how old the comments were! I was about to ask that same question…I got really excited to have such a clear, concise checklist “for the rest of us”; then saw the date and sighed….so much has changed since 2012! Which makes me wonder…how is Google still serving this as the featured organic result off of such an old post with outdated information? Comments? Can you create this article in a printable format? It’s wall-worthy! Thanks for your post, good writing. One sidenote: I personally don’t believe that google doesn’t hold any weight to the meta keywords tag. I also don’t believe that the “nofollow” links don’t count. 🙂 Maybe it’s just me, but it doesn’t hurt if you fill in your keywords mate with some relevant content. And Now, in 2018. Google has much more powerful servers to make comparison among sites much faster. So, the search result bounces up and down a few times in a day. H1 should be used one time and H2, H3 will b used more than one time but on requirement …. Good approach for targeting more people to your website…. 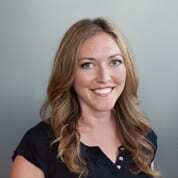 Thanks AMANDA GANT for writing this article it is so nice the way u explain, You have writing almost every point for On page SEO . But you miss some points. please explain all points in seo like ( Canonical tags, Sitemaps, redirections, Robots.txt, Rich snippets) it will helpful to me. i like your article, nowdays SEO is really important. What a great – and useful – list of resources. You’ve inspired me to go through my sites to double-check that the SEO is all it can be! I’m also taking a web class and will share with my @mediaartssbcc teacher.